Oregano oil is an essential oil, derived from the wild oregano plant that grows in the mountainous regions of the Mediterranean, Greece and Turkey and Spain. It is extracted from the leaves and flowers of 2 varieties of plants. Thymus capitatus - This variety grows in Spain. 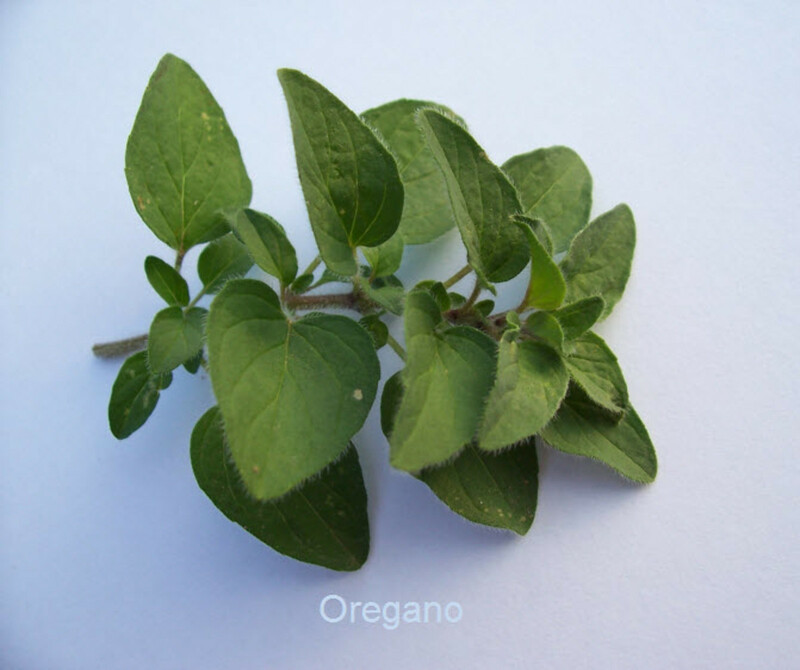 Origanum vulgare - This is the variety that grows in the rest of the Mediterranean and most of the oil of oregano is produced from this variety. Oregano which is commonly used as a spice are the dried leaves of the plant, Origanum majorana and this variety does not have the extraordinary healing properties that oil of oregano derived from the above 2 varieties listed above. The oregano spice that is commonly available in supermarkets is different from the true oregano that has medicinal benefits. 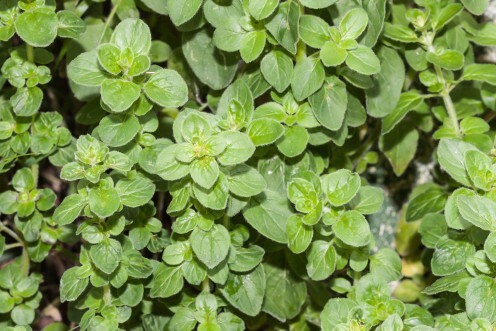 Most of what is sold as oregano/oregano oil is in fact thyme or marjoram which is not true oregano. 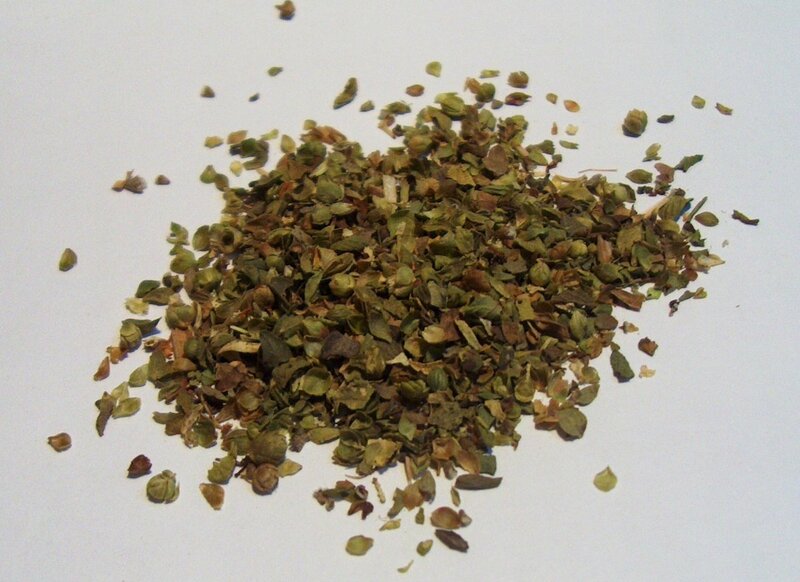 Buy oil of oregano that has at least 70% Carvacrol, and is derived from the wild oregano, Origanum vulgare. Also, check to see if the ingredient list, lists olive oil above oregano oil, as then, it might be too diluted to have the desired benefit. 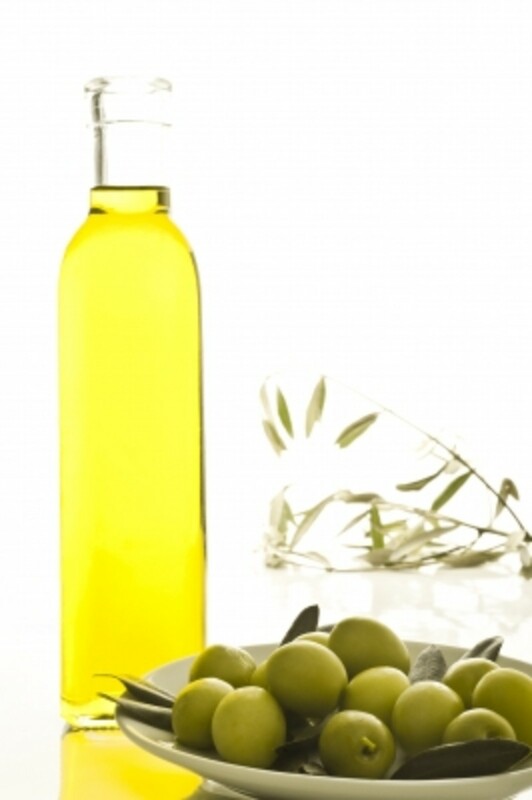 Olive oil is generally the preferred carrier oil used to dilute oregano oil. Oregano oil is the most powerful and versatile antiseptic. Since oregano oil is very concentrated and strong it should be mixed with olive oil or coconut oil @ 1 drop of oregano oil to 1 tsp of the carrier oil before it is applied externally on the skin. ORAC value of oregano oil is 15300 THE/100 grams. The oregano plant - Origanum vulgare - grows in warm and temperate climates in the wild in the mountainous regions of the Mediterranean. It is a perennial herb that grows to about 1.5 feet to just over 3 feet in height. In colder climates, however, the plant does not survive winter and is an annual plant. 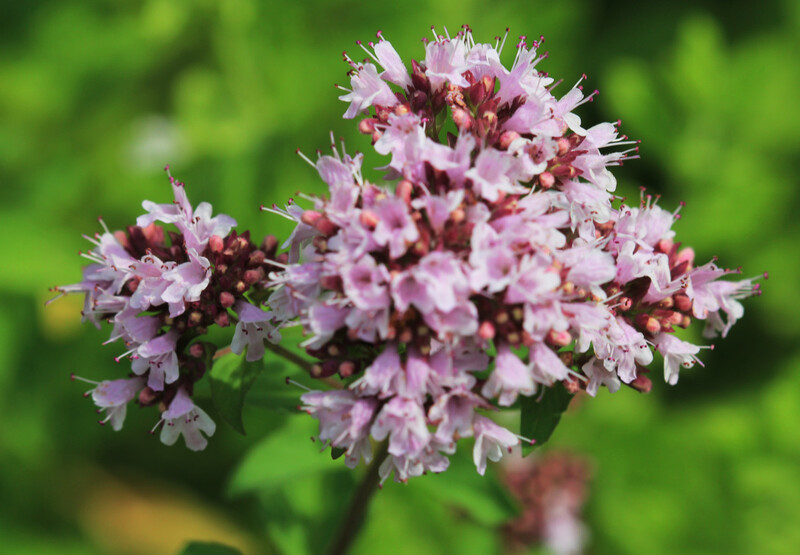 The herb has purple colored flowers and olive green, spade shaped leaves. It is known by various other names like; mountain mint, Mexican oregano, winter sweet, Mediterranean oregano etc. It is also known as wild marjoram in parts of Europe as it is related to sweet marjoram which is Origanum majorana. Oregano is a natural antibiotic and has anti bacterial, anti viral, anti fungal, anti parasitic, anti inflammatory, anti allergenic, digestive and emmenagogue properties. Origanum majorana is the source of oregano that is commonly used as a food spice. It however, is not as effective in treating health conditions, as Origanum vulgare. Carvacrol - An excellent anti microbial. Thymol - A fungicide & antiseptic. Limonene, Pinene, Ocimene - Are turpenes that are anti bacterials. Caryophyllene - An anti inflammatory. 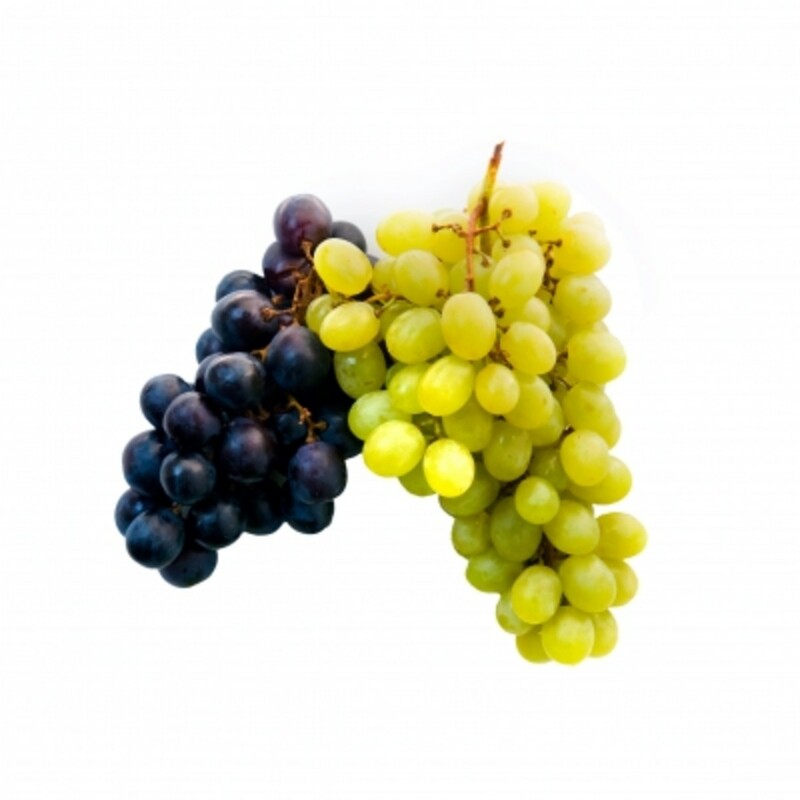 Rosmarinic acid - A powerful anti oxidant and anti histamine. Naringin - A flavonoid having protective & booster effects on other anti oxidants along with anti cancer properties. Linalool & Boureol - Anti viral & antiseptic. Linalyl acetate & Geranyl acetate - Anti fungal esters. Oregano oil contains excellent levels of vitamins A, C,E, K, B6. B2 and niacin while its mineral content includes calcium, magnesium, iron, zinc, potassium, manganese, copper and boron. Oregano oil is available in essential oil,, capsules and tincture forms. The tincture form can be directly kept under the tongue OR oregano oil can be mixed with olive oil and kept under the tongue. Relieves pain, inflammations and congestion. Clears skin infections and afflictions. Resolves digestive health issues and improves gut health. Acts as an strong anti allergenic. Has a very powerful antioxidant property. Antimutagenic and antigenotoxic activity (reduces damage to DNA). Dr Cass Ingram, author of the book, "The Cure Is In The Cupboard" reveals how he saved his life from a blood borne fungus he contracted from an infected IV needle by using oil of oregano. He lists over 170 conditions that this oil can be used for skin problems to intestinal problems, from cramps to pains, from inflammations to allergies etc. At the end of the hub, are 2 videos where Dr Cass Ingram talks about oregano oil. Oils of natural herbs like oregano are much safer for treating and curing sinus problems and also have the benefit of the virus not developing resistance to the oil, which is not the case with conventional medicines. Oil of oregano boosts the immune system and kills the virus that cause sinus infection. Add 2-3 drops of oregano oil to a tsp of olive oil. Mix well and apply to the area over and around the sinuses. This will clear and open the nasal passages too. 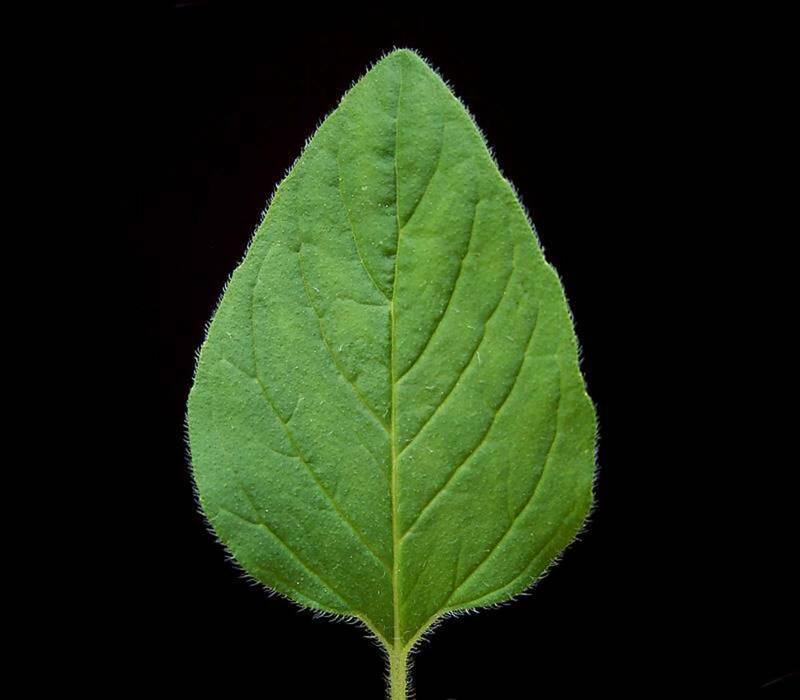 A study published in the issue of Phytomedicine states that carvacrol, a compound found in oregano oil prevents growth and spread of cancer in muscles and tissues by preventing DNA synthesis in the cells of the muscles. Another study found that oregano oil is effective against human breast cancer cells in a tissue culture experiment. This study was published in the April 2011 issue of the Journal of Food Science. Carvacrol in oregano oil protects against DNA damage to white blood cells. Therefore it has a potential for use in preventing cancer. This study was published in the November 2003 issue of cytotechnology. Carvacrol in oregano oil regenerates the liver cells which is the major detoxification organ in the body and helps in preventing cancer. Inflammatory conditions like arthritis are accompanied by pain and loss of mobility of the affected joint. It is the most common inflammatory condition in the aged with rheumatoid arthritis, osteo arthritis and gouty arthritis being the 3 most common forms of arthritis. Carvacrol in oregano oil has the ability to activate HSP or the heat shock proteins which are the body's natural anti inflammatory defence mechanism. When HSP is activated high stress, inflammation and self induced arthritis is suppressed. As inflammation reduces, joint and muscle mobility is restored. Also, as a painkiller oregano oil is as effective as morphine as the oil has the ability to penetrate deep down into the skin. To apply externally on the affected joints, mix 1 drop of oregano oil with 5 drops of extra virgin olive oil or coconut oil. To use internally, mix 2 drops oregano oil in a glass of fruit juice and consume. It is advised to be taken for a maximum of 6 weeks at a stretch, then a pause of a minimum 2 weeks is advised before resuming again. According to the American Academy of Dermatology, millions of Americans suffer from acne and over 85% of teenagers in the United States suffer from acne. Mix about 2 to 3 drops of oil of oregano in a glass of water. Apply this solution on the acne with a cotton ball. If there is redness after application take a break for a few days and the use lesser amount of oil in the water and apply. Oregano oil kills the acne causing bacteria thereby clearing and preventing acne/pimples. Allergies today are a very common occurrence affecting every age group. Studies show that rosemarinic acid has potential benefits in preventing allergies. A study published in the 2004 issue of Biofactors reveals that the group receiving rosamarinic acid showed lowering of allergic symptoms as compared to the group not receiving it. A dose of 4-6 drops of oregano oil diluted with olive oil in a ratio of 1:4 or one capsule of 600 mg of oregano oil is the daily dose for an adult. Oil of oregano is effective in combating bacteria, virus and yeast, the causative organisms of sore throat and cold. Since the oil is also a strong pain reliever and anti inflammatory, it is an effective natural remedy to relieve sore throat and cold. About 2 drops of oregano oil can be mixed with in a glass of salt water and this water can be used to gargle about 3 to 4 times a day. Adding 2-3 drops of oregano oil in honey or juice and consuming this will also aid in relieving these symptoms. Oregano oil holds promise as a weight loss and obesity reduction agent. In a study, mice that were fed carvacrol in their diet showed that it prevented obesity by controlling weight gain and also lowered blood cholesterol and triglycerides. This was achieved by suppressing the formation of new fat cells. Carvacrol is a major active component of oregano oil. Herpes is caused by a virus. It is a disease that causes a lot of pain and discomfort. Oregano oil kills the herpes virus. A drop of oregano oil should be mixed in a tsp of olive oil and this should be rubbed over rhe spinal column. This is the spot where the herpes virus lives when dormant. Also 2 drops of oregano oil tincture be kept under the tongue 2 times a day. It has been found in tests that oil of oregano is about 100 times more effective than conventional medicines in combating Candida infections, the cause of fungal infection of the nails. Oil of oregano can be applied directly or mixed with olive oil on the affected nails and cuticles. Use 3 times a day. To avoid reinfection, keep feet dry and also avoid walking barefoot in public areas like shower/changing rooms and gyms, and avoid sharing shoes and socks. Oregano oil can be used to treat a variety of skin conditions of bacterial, viral or fungal origin like psoriasis, eczema, acne, thrush etc. Add 1-2 drops of oregano oil to a tsp of extra virgin olive or coconut oil, mix and apply on the affected areas. 1-2 drops of oregano oil can be mixed in fruit juice and consumed too for faster results. Oregano oil consumed internally is effective in killing intestinal parasites. Studies have shown that the oil taken for a period of 6 weeks cured the subjects in the study, by getting rid of the parasites. Taken internally oregano oil kills parasites like Cryptosporidium. Giardia, Flukes and others. For prevention, add a drop of oregano oil to unsafe drinking water. To get rid of parasites, take 1-3 drops 3 times a day mixed with juice or milk. 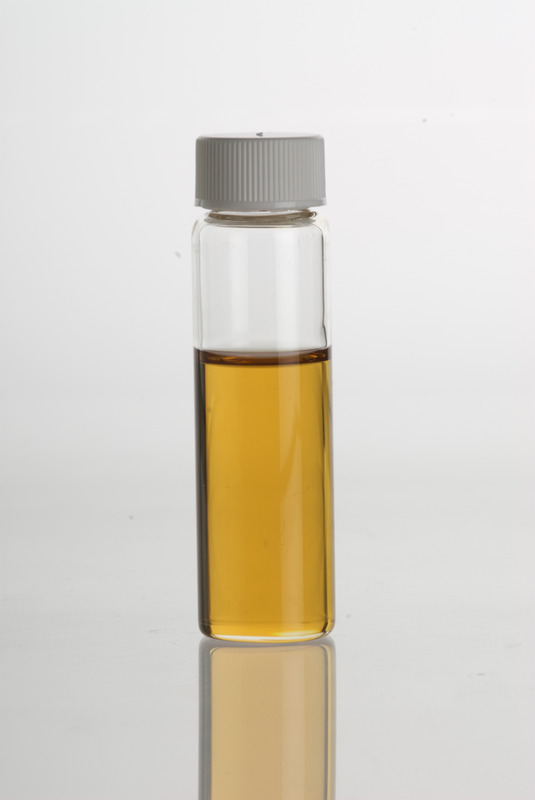 Oregano oil is available in liquid, tincture and capsule form. All are equally effective and it all depends which form an individual prefers for use. 4-6 drops of 100% purity per day. Dilute with extra virgin olive oil. 1 part of oregano oil with 3 parts of olive oil. 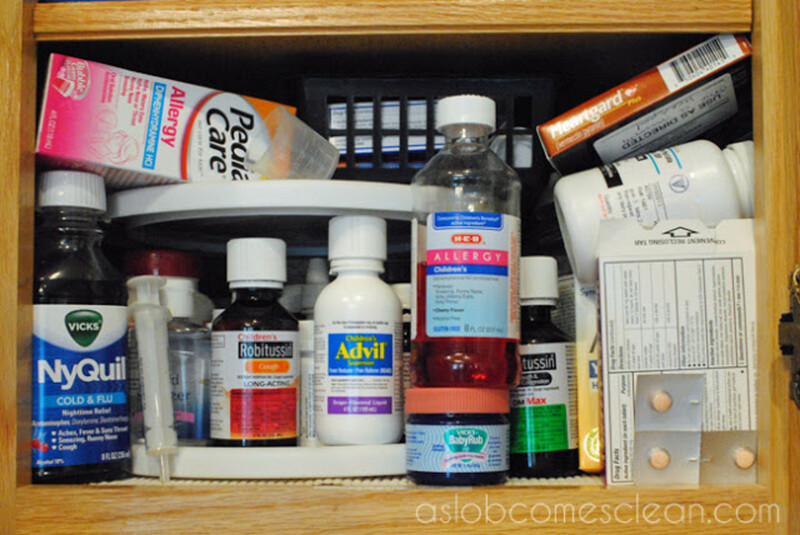 Take 3-6 times a day based on the severity of the infection. As a preventive measure, indications are for a dose of 1-4 drops per day placed under the tongue for a few minutes followed by intake of a glass of water. Oregano oil in liquid form leaves a spicy tingling sensation as if one has had spicy food. One can drink some milk or chew on some bread which will increase salivation and reduce the feeling of spiciness. If the liquid form is felt too spicy use the capsule form of oregano oil. When used externally to treat skin conditions and musculoskeletal conditions, put 1-2 drops on the affected spot and massage it. Allow the oil to get absorbed fully. Even if it feels better use little oil and do not be tempted to increase the quantity of oil in the hope that more will be better and will act faster. 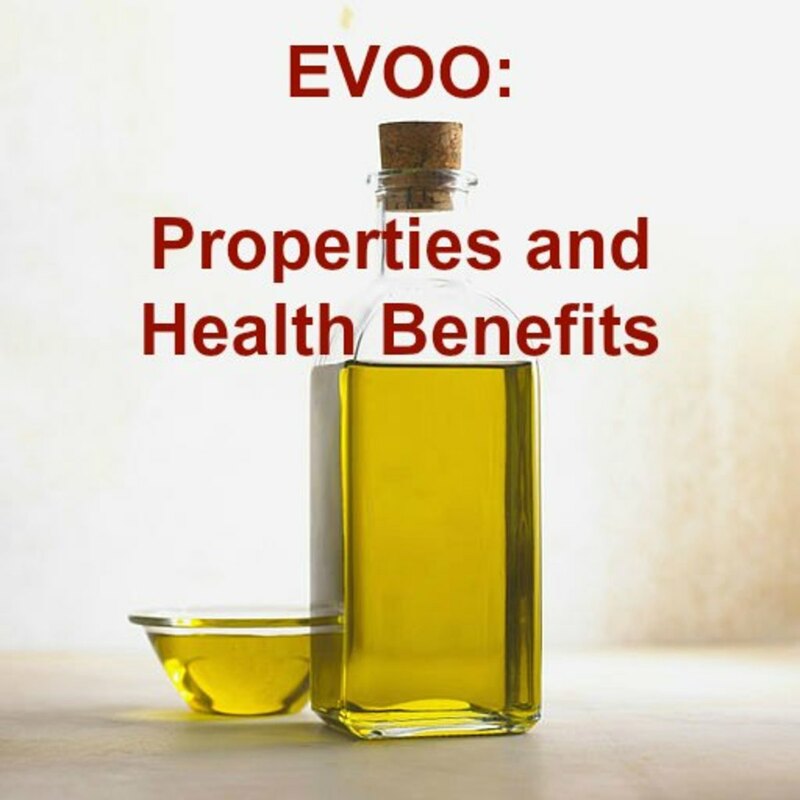 More is not always better, especially in the case of oregano oil which is a very strong and potent oil. In some studies, the dosage went as high as 600 mg oregano oil per day while some studies found it to as effective at lower levels. It is always wise to take into account the possible side effects of oregano oil and try to be on the safer side by consuming a lower dosage. There are no studies that specifically outline a specific dose that is the most potent. It is better to stay safe, use common sense and stay below the dose recommended by the manufacturer. Mix a drop of oregano oil in 1 tsp of extra virgin olive oil. Keep this below the tongue till saliva collects in the mouth. Swish this around the mouth for 1-2 minutes and then spit it out. Repeat 2-3 times daily. Dilute oregano oil in a ratio of 1:1 with extra virgin olive oil. Rub it on the gums or around the affected tooth. Apply a 1:1 diluted mixture of oregano oil with extra virgin olive oil on and about the site of bite. It helps to pull out toxins and heal them. Rub in a mixture of equal quantity of oregano oil and extra virgin olive oil at the affected spot for relief. Rub a mixture of oregano oil and extra virgin olive oil taken in equal quantities, between the eyebrows, on the forehead, temples and on both sides of the nose for pain relief. The oil vapors can also be inhaled directly for relief in stuffiness and congestion due to sinus. Rub oregano oil outside the ear. Do not put oil in the ear. Add a drop or 2 of oregano oil to 1 tsp of extra virgin oil and apply to the burn or blister areas. It provides relief in pain. In a glass of milk or juice put 2-3 drops of oregano oil. Mix and drink. Mix 3 drops of oregano oil in a glass of orange juice. Consume once daily for 3-5 days. Roger Baird, "High on the Herbal Hierarchy," Vista Magazine, Issue 39, p. 66. Oregano oil thins blood. Therefore those who are on blood thinning drugs should be extra cautious. Oregano oil may reduce iron absorption. Hence, regular use should preferably be supplemented with iron. It may stimulate blood flow in the uterus causing weakening of the lining that surrounds the fetus. Pregnant women should therefore avoid taking it. Also women who are breast feeding should avoid its use. Oregano oil is very strong, hence, it should be diluted with extra virgin olive oil in a 1:1 ratio before use. If used in the mouth it is better to dilute it further. Sensation of warmth and tingling may be felt in the mouth when liquid oil is taken orally. Reduce dose if too spicy. One may experience stomach upset if a stronger undiluted dose is taken. Dilute it with extra virgin olive oil or buy diluted oregano oil. Liquid oil can be taken with juice or milk while the capsule form can be taken with food to prevent heartburn in those prone to it. Enteric coated capsules are also available. They can betaken to prevent stomach side effects. Do not worry too much about the oregano oil's potency being reduced or affected if less is taken. In the case of essential oils, less is not less effective. Oregano oil is very strong and only a small amount is sufficient. Avoid using oregano oil if you are allergic to oregano, thyme, basil, marjoram or similar plants. Take care not to get it into the eyes, mucous membranes and the genital area as it is very strong and may cause burning sensation. If you accidentally do get it, flush the area with milk or yogurt for relief. Do not use water and contact a doctor if there is no relief. Drink plenty of water when taking oregano oil internally. Discontinue use if you feel worse. Kindly Rate This Hub. Thanks. But thanks to a treatment that recommended a friend, reach cure my herpes in just 4 weeks I saw improvements in my body, now after 3 months I do not have herpes, I feel very content and happy. I recommend this method to cure herpes. Pls advise the availability of 1kg oregano oil with 70% charvacol. @Shadaan-glad you have the info now. Thanks. Very informative hub Rajan, voting up and sharing. Glad you found this to be informative. Thanks for stopping by, Pinkchic. Oregano oil is a new one for me! I'm glad I read this! Jamie - I do hope you will buy oregano oil made from the wild, Mediterranean, origanum vulgare as it is the one with these healing qualities. Thanks for the visit and share. @ Corey - I do hope so. Thanks for stopping by. @ Peggy - Nice to see you visit again and I do hope you give it a try. I have oregano growing in our garden but it is probably not the same type as found in oregano oil. I had no idea that there were so many health benefits from the use of oregano oil. Amazing! Up, useful and interesting. I am tempted to get some and try it for my allergies. Amazing what one herb can do for you, oregano oil has so many benefits that I never knew about. Thank you for researching and writing this so that it came to my attention. I am always looking fror healthy alternatives and cure alls verses taking a prescribed medicine and I am adding this one to my medicine chest. @ Rasma - Thanks for reading and sharing. @ sosimple - thanks for reading. @ Rosemary - thanks for visiting and bookmarking. This is an awesome hub, I didn't realise just how many benefits oregano oil had. I have this growing in my garden so am wondering if I could make my own oil from the plant. Thanks for sharing this informative and interesting hub. Great information. Passing this on. @ Gladys - Yes, oregano oil has far more medicinal properties because it is extremely concentrated. Thanks for visiting. @ Kristin - I was under the impression that oregano oil was available in the U.S. This oil is among the most healthy essential oils. Thanks for dropping by. @ GTF - I'm glad you like this info. I'd love to read the new hub of yours when it is published. Thanks for the support and visit. @ Ruchira - It is always a pleasure to see you visit. Appreciate the share and continued support. As usual, this was an informative hub. Interesting. I have never heard of oregano oil. FYI - I am finishing up a hub and am linking a number of yours to it. I'll let you know when I publish it. I have never even heard of oregano oil before so this Hub certainly caught my attention. It is amazing how many medicinal properties it has. I'm curious if it is available in our health food stores in the U.S. I will have to check it out. I love oregano sprinkled on my cabbage salad and vegetables. I have never tested the oil and its plenty of benefits sounds great to keep it handy. Thank you for writing about, excellent information. @ Harsha - oregano oil is available in India. 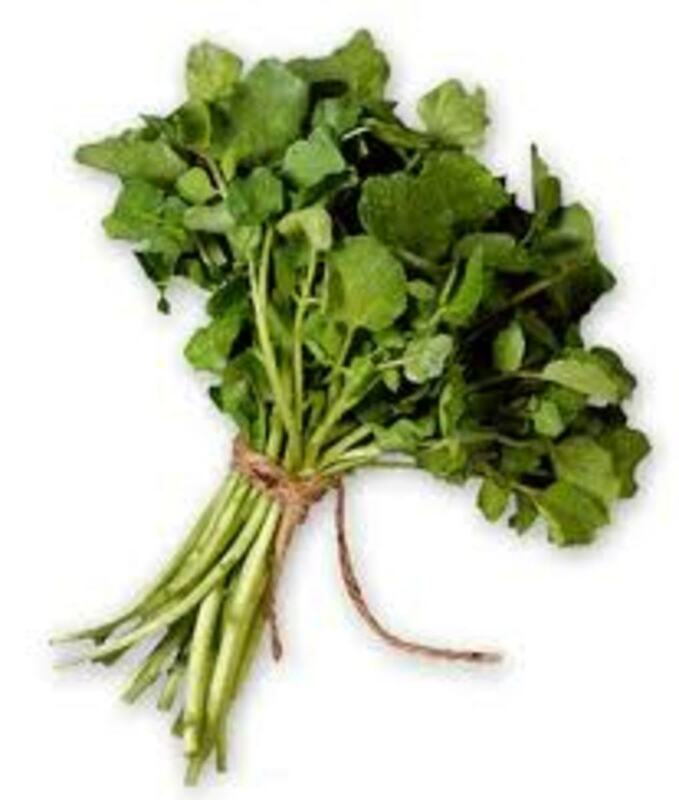 Oregano is called Sathra or Mirzanjosh. 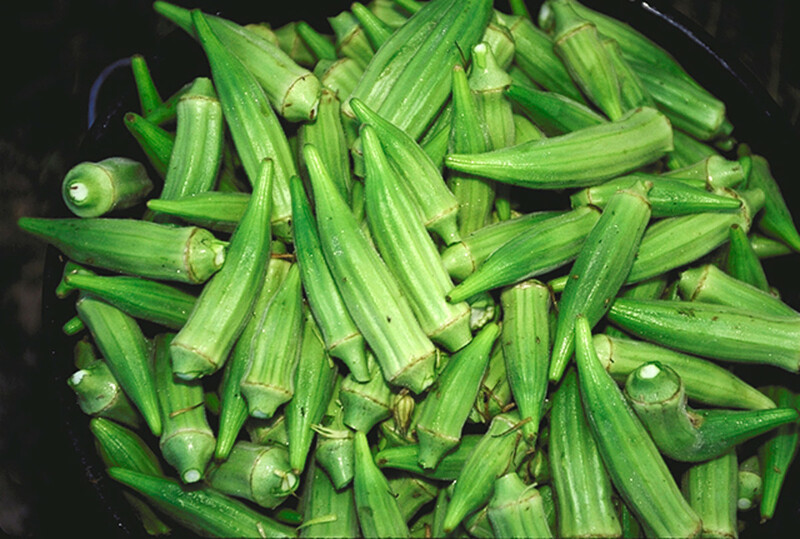 It is grown from Kashmir to Sikkim. Thanks for reading. @ Devika - thanks for stopping by. @ Carol - thanks for your input. It is a pleasure to have your continued support. Thanks for sharing and tweeting it. @ Aurelio - oregano oil is preferred for treatment since it is so concentrated in the active principles as compared to the spice. Thanks for stopping by. @ Bill - thanks my friend. Your support is always appreciated. No comments? Sheez, there should be tons of comments. Another good hub with helpful information. Thank you for this; I did not know about this item and its benefits. I've never used the oil. I'm wondering how this compares to taking oregano itself. I love the herb and put it on everything -- it's more advantageous to use the oil instead? Voting this Up and Useful. I knew that Oregano has many beneficial properties and now the oil. Interesting buy a friend of mine and I made lotion bars with a variety of ingredients and different oils. I am going to get some oregano oil and add it. Great and informative hub..thanks for writing this. VotingUp ++ and pinning. No pinning button so I shared and tweeted. Brilliant I had no idea Oregon oil had that many benefits and you certainly did a good job in explaining the helpful points. Thanks for this hub. Voted up! Thank you for all the info. It is a new oil for me. Is it known much in India?